Travis County Emergency Services District # 2 (the Pflugerville Fire Department) is known as a leader in Central Texas for its focus on continuous training for all firefighters and paramedics. Our Training Unit within the Operations Division is dedicated to ensuring you stay certified, safe, strong, and properly prepared to serve. We rigorously train on skills, knowledge and physical fitness every shift at each fire station, and we also employ our Training Field for live fire, CPAT, and other drills. All first responders are required to maintain a minimum certification as a Basic Firefighter and an Emergency Medical Technician. No matter your rank or years of service, we work with you to ensure you master mainstream methodologies while going beyond to reach the cutting edge in first response. In addition to training at each station, the Training Unit develops on-site training such as surface water rescue at Lake Pflugerville and live fire training at the District’s Training Field. CLICK HERE to see the current schedule of upcoming training opportunities offered by the Pflugerville Fire Department, which are available to both Pflugerville personnel and personnel from other departments. Classroom instruction is hosted at the District’s Conference and Education Center (CEC), which can accommodate Department-wide classes or company-level classes. It is located on the south side of our downtown campus at 203 E. Pecan St., Pflugerville Tx 78660. Our Training facilities are available to other fire departments, civic groups, businesses, and education systems. Click here to request further information. 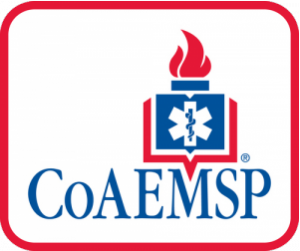 Travis County Emergency Services District #2’s Paramedic program has been issued a Letter of Review by the Committee on Accreditation of Educational Programs for the Emergency Medical Services Professions (CoAEMSP Executive Office). 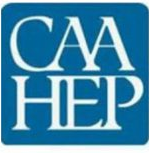 This letter is NOT a CAAHEP accreditation status; it is a status signifying that a program seeking initial accreditation has demonstrated sufficient compliance with the accreditation Standards through the Letter of Review Self Study Report (LSSR) and other documentation. Letter of Review is recognized by the National Registry of Emergency Medical Technicians (NREMT) for eligibility to take the NREMT’s Paramedic credentialing examination(s). However, it is NOT a guarantee of eventual accreditation.